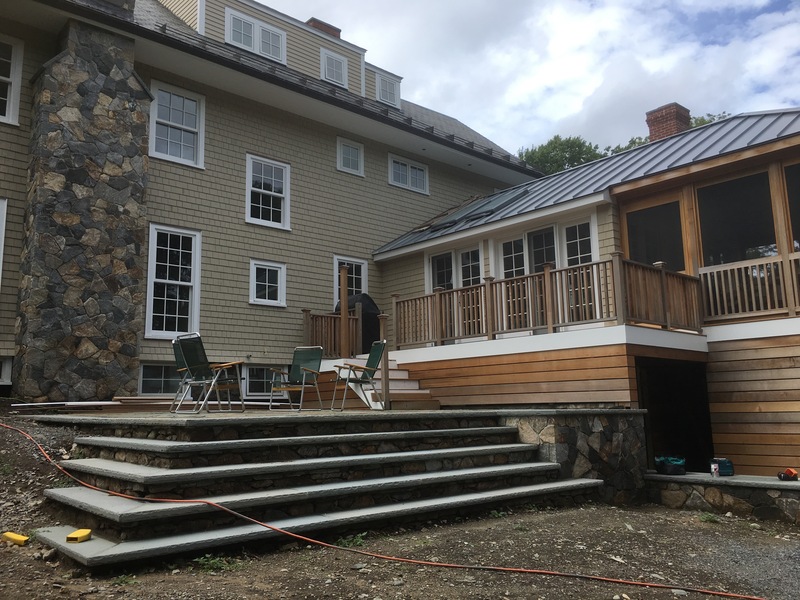 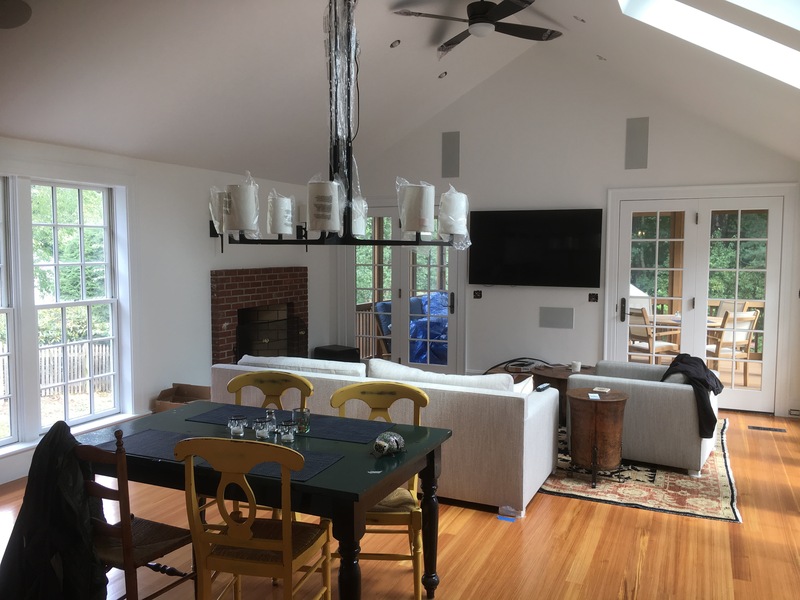 construction photos of screened in porch and kitchen/great room. 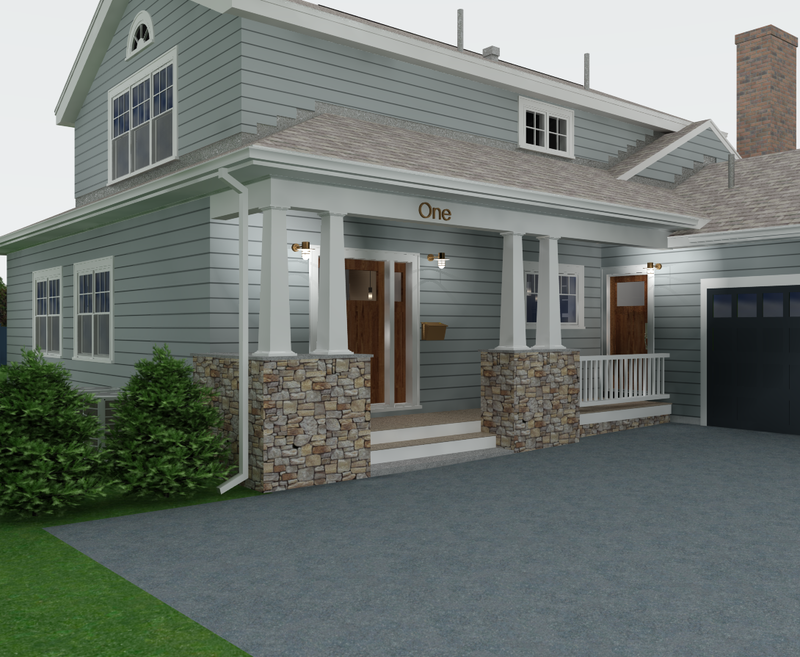 Updated model rendering with new exterior stone fireplace and patio. 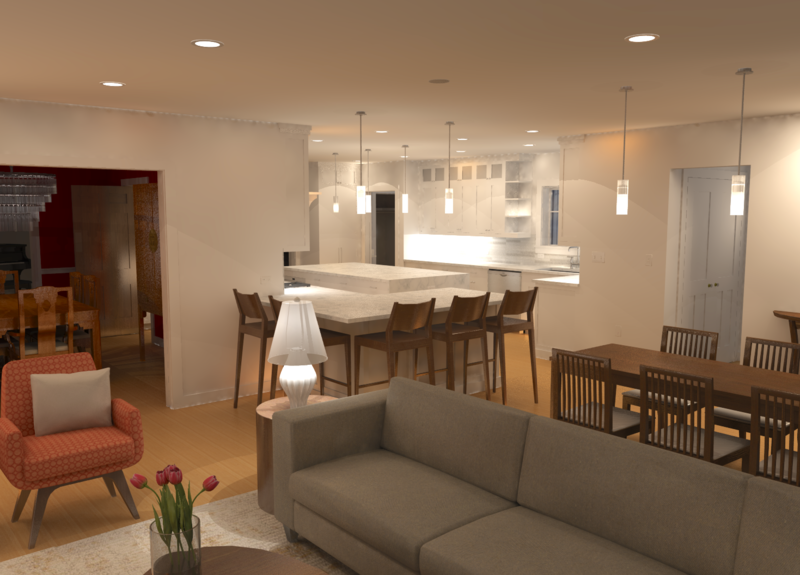 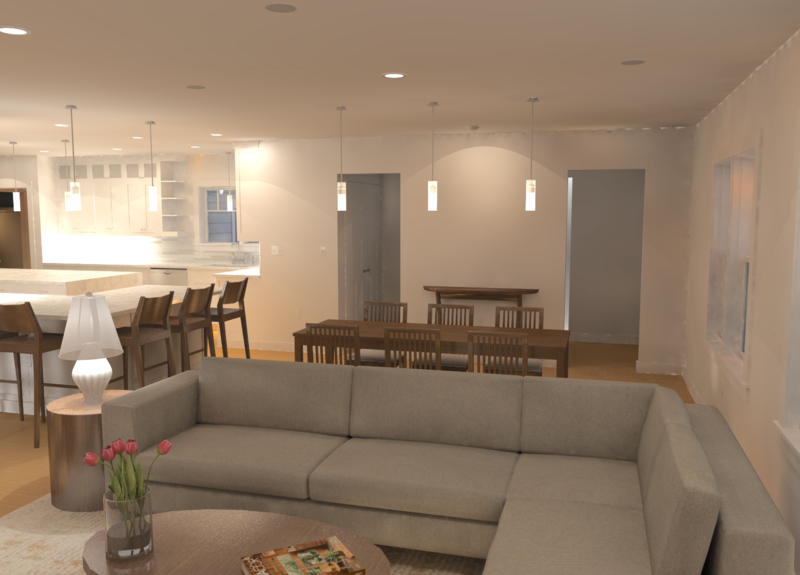 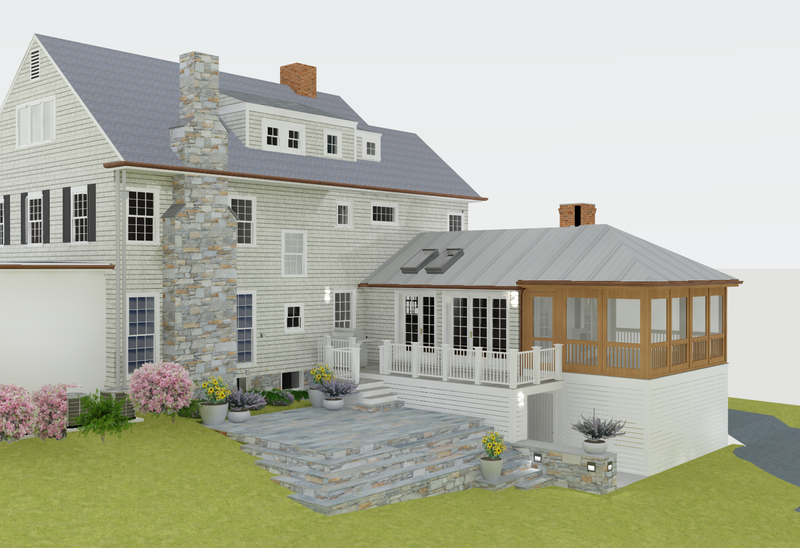 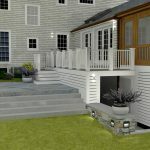 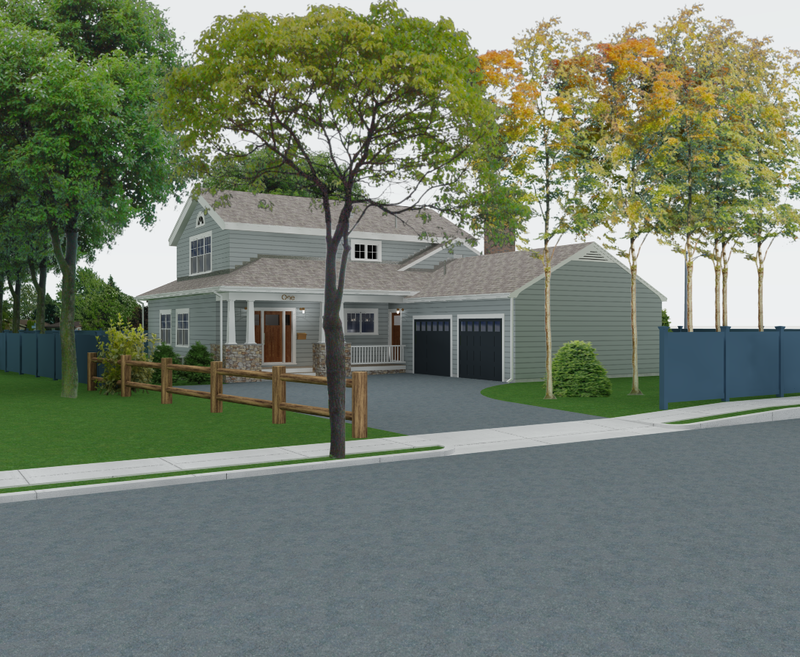 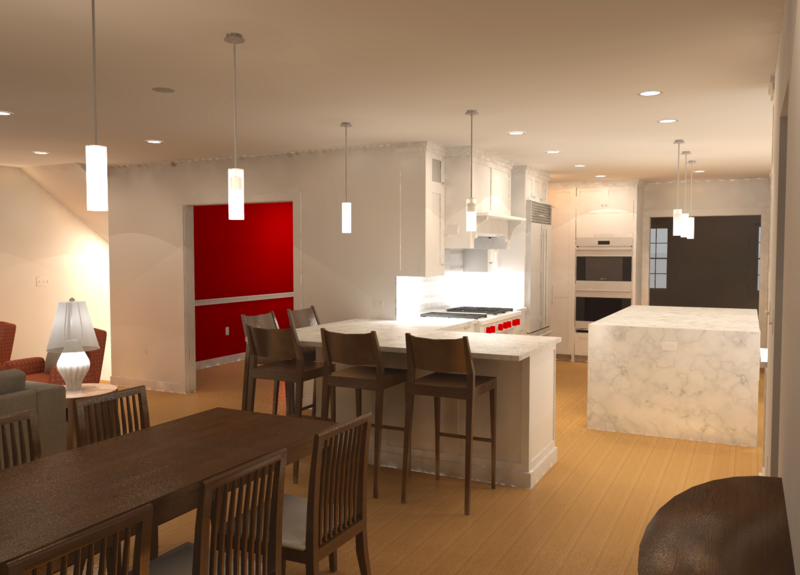 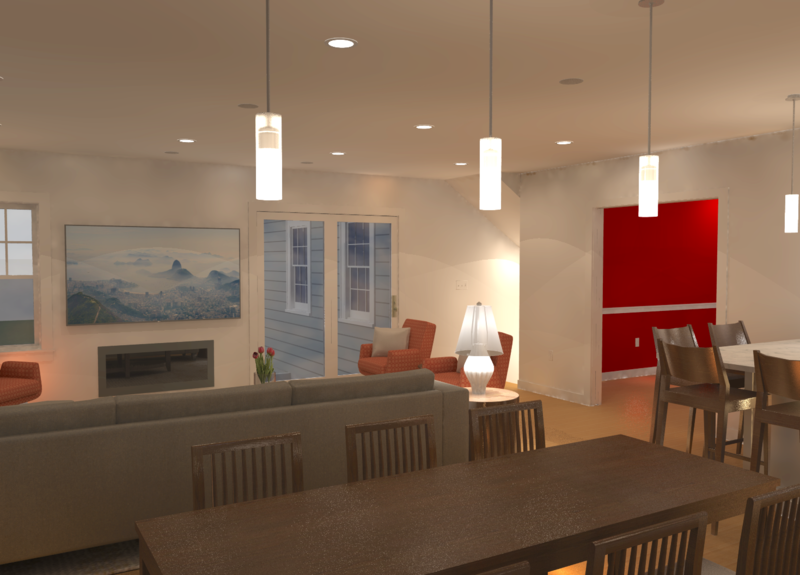 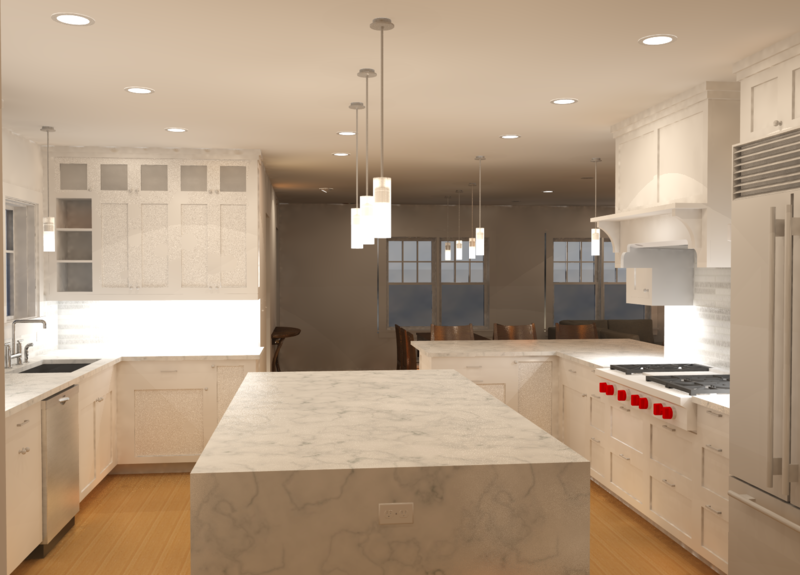 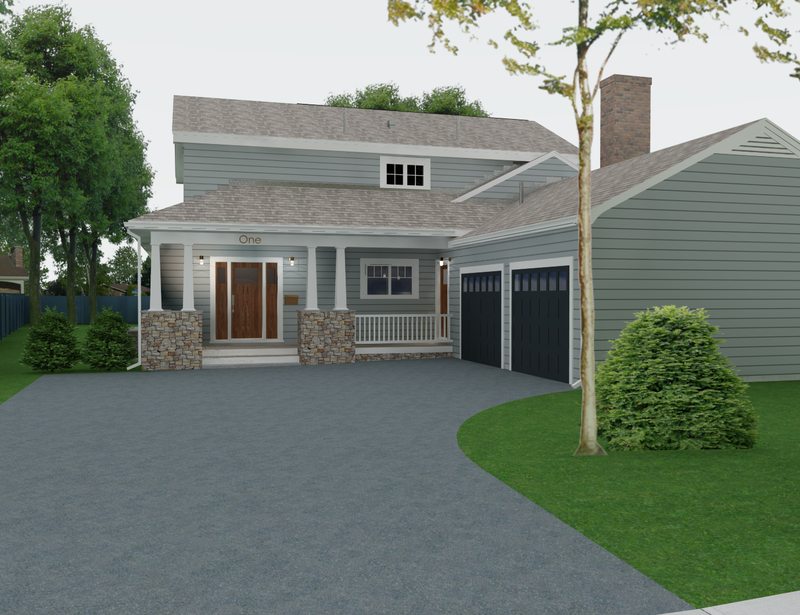 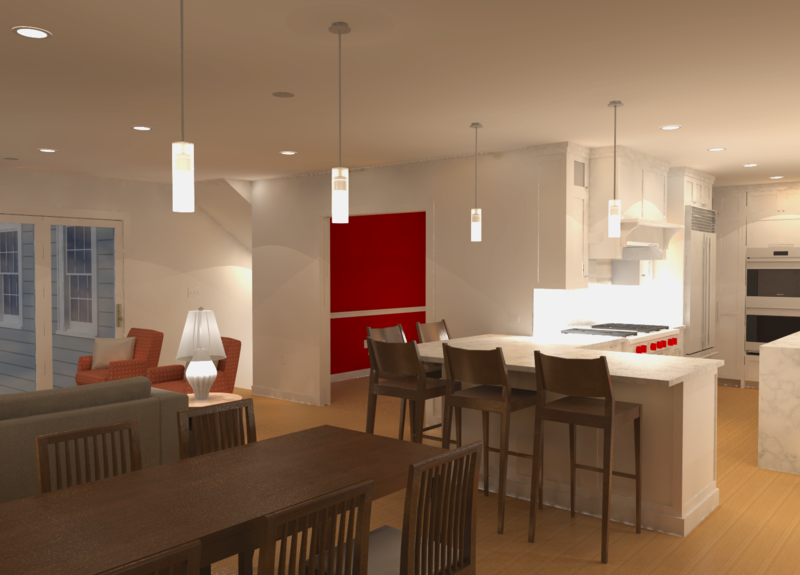 renderings of: Newton, MA residential addition and renovation amid Special Permit process.